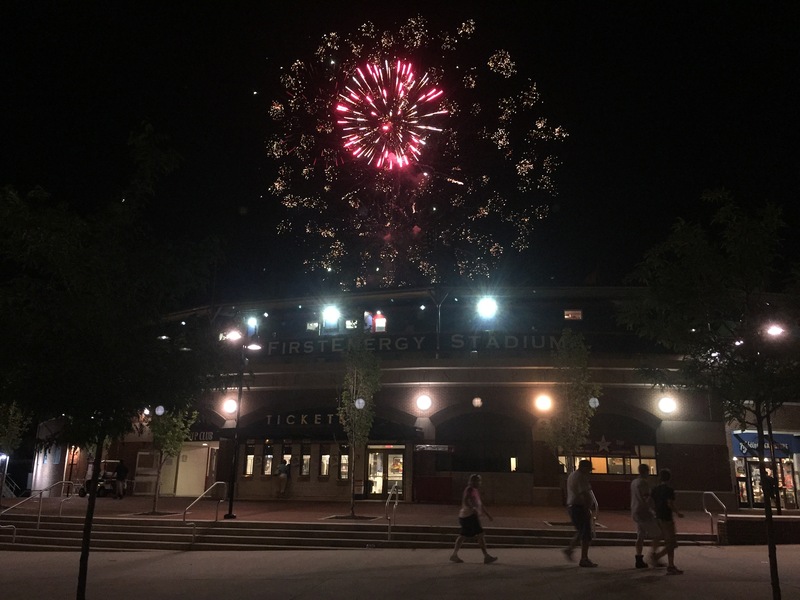 While last week’s post was titled “A Hidden Gem”, that title could have, and maybe should have, been used for this week’s visit to Baseballtown, aka the Reading Fightin’ Phils who play their home games in First Energy Stadium. A long history of baseball, longest affiliation with a major league team, and ostriches. What isn’t there to love?! This park saw its first minor league game in 1951, but don’t let the age of this cozy 9000 seat stadium fool you. The original cost was roughly $650k, but they have put more than 10x that amount into upgrades over the last few years, without losing the ambiance of watching a game in an older park. 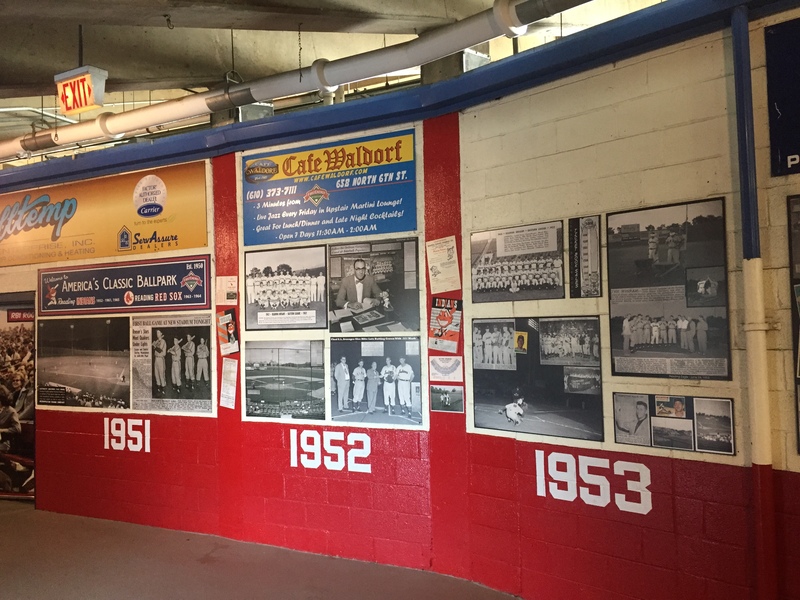 The main concession area is located under the stands, and is lined with posters and signage detailing their long history going back 64 years. And it just smells like baseball! The aroma of cheap $2.50 hot dogs seems to be burned into the walls. They have installed a very nice LED screen in the outfield, but you sit so close to the field, you don’t need it to see anything you might have missed. The stadium was originally named Municipal Memorial Stadium, and while they now have corporate sponsorship, they still honor veterans at the start of every game, and at the memorial flag pole outside the stadium, they have a statue of GI dog tags. The more minor league games I go to, I become more and more of a believer of the product they put out. 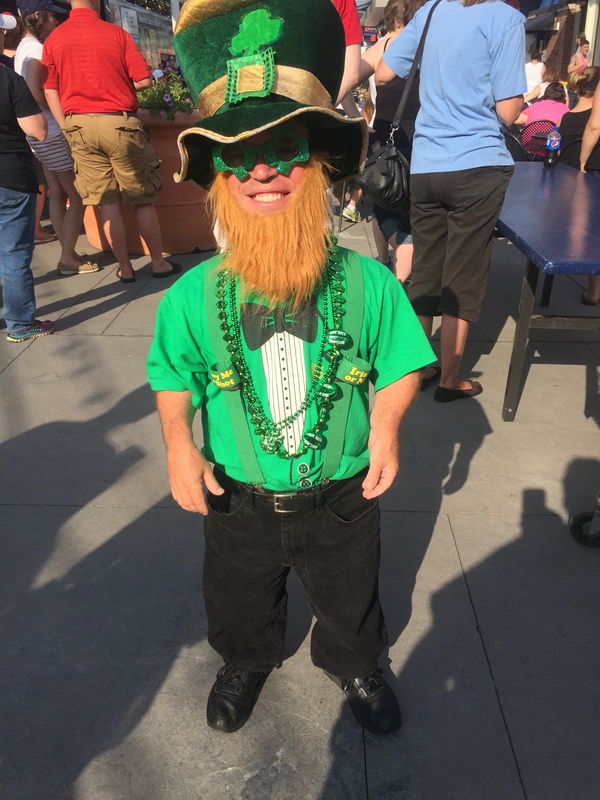 Saturday was Irish heritage night, so the pregame entertainment on the concourse was an Irish bag pipe rock band, and the Phils even had their lucky leprechaun running around. Before the game, they let little leaguers have a throw around on the field. And between innings…. well let’s just say I’ve never seen anything like the Crazy Hot Dog Vendor tossing hot dogs into the stands from an ostrich. OK, maybe not a real ostrich, although for a few years the team DID have a pair of live ostriches behind the outfield wall!! 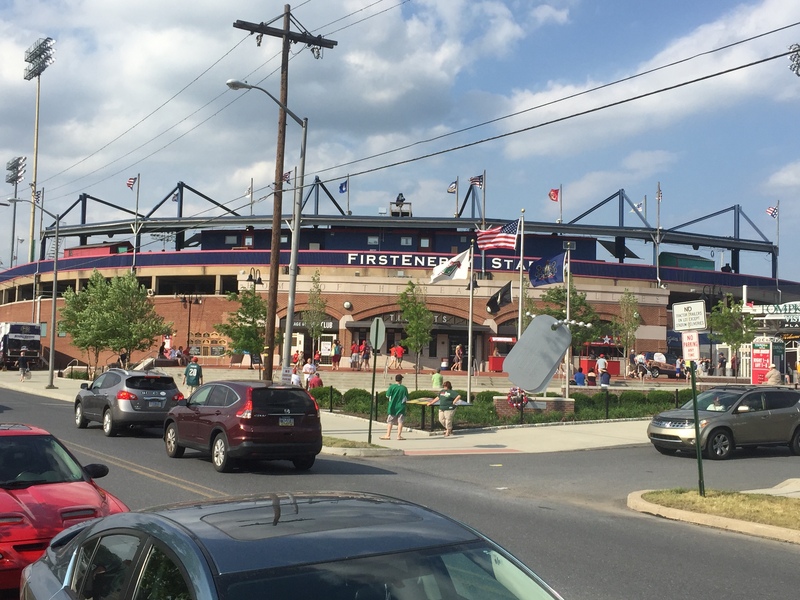 Reading has been home to organized baseball going back to 1858 in one form or another. Their major league affiliations in their current home have included Brooklyn, Cleveland, Red Sox, and since 1967, the Phillies. Out of the 118 minor league teams affiliated with a Major League parent club that year, only Reading and three others have remained associated with the same organization through the 2004 season. And I believe only the Lakeland Flying Tigers remain associated with their parent organization now. This really was a fun place to visit. The food was awesome. If you’ve never had a Philly Dog, it’s worth a try. 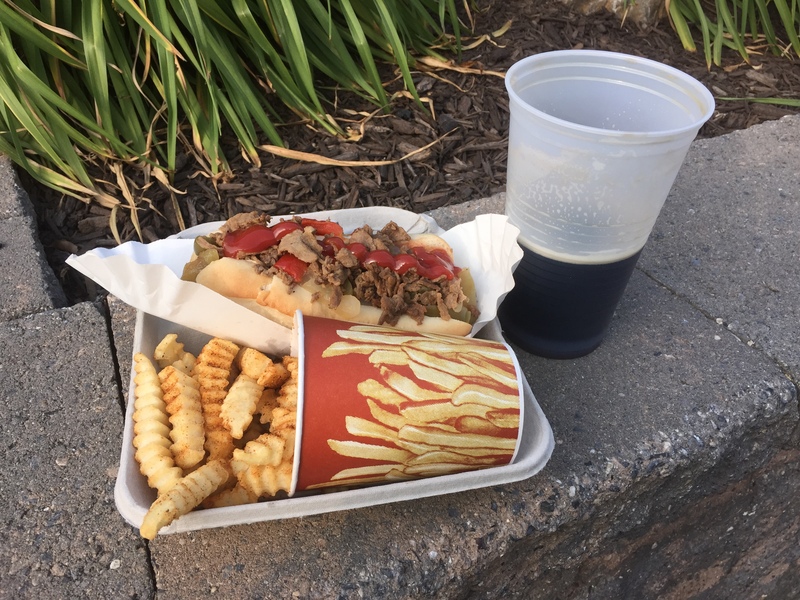 And like the name implies, it’s a combo of a Philly cheesesteak and a hot dog! They also have a churger, a combination chicken breast and cheeseburger. And Old Bay seasoned fries. The beer of choice throughout the stadium is Yuengling, which is appropriate since it’s America’s oldest operating brewing company and located in Pennsylvania! For the kids, not only do they have an indoor 27 hole putt putt course, there’s also a pool pavilion for parties in right field. 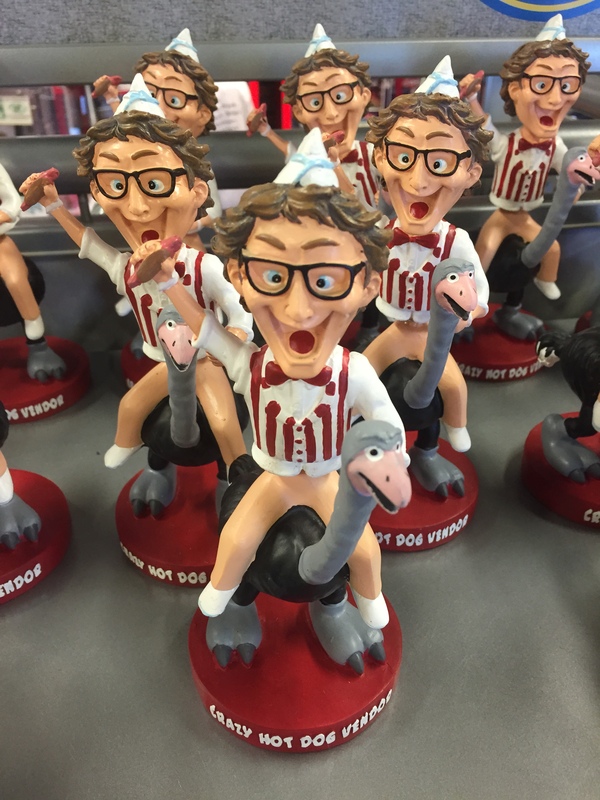 And did I mention the Crazy Hot Dog Vendor…. and his own bobblehead?? 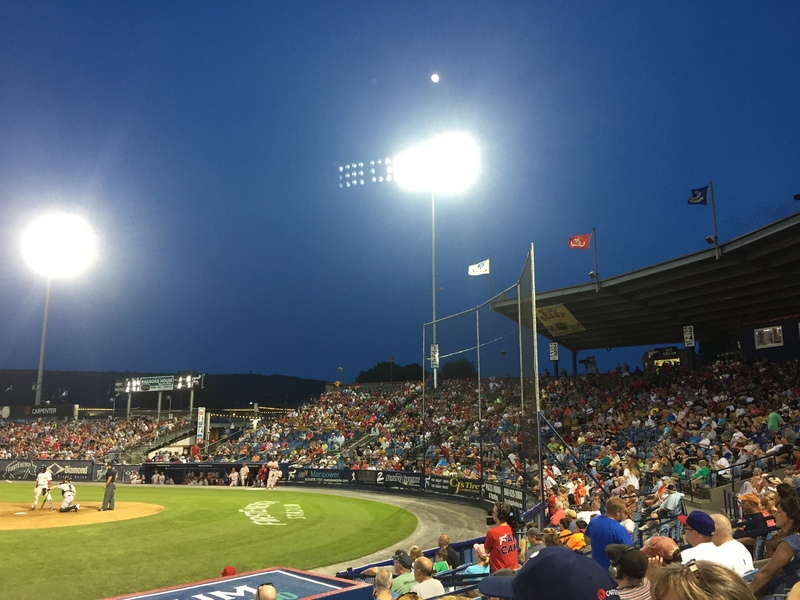 With the moon rising over the stadium, the Fightins pulled out a 4-3 win over the Richmond Flying Squirrels, scoring the go ahead run in the bottom of the 8th. Can I tell you who drove him in, who scored the run, who got the save? Nope. 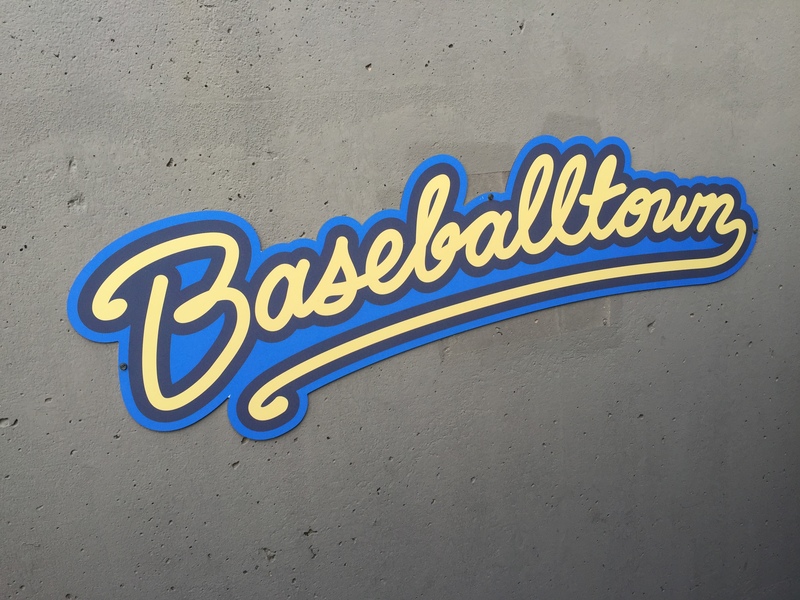 I CAN tell you that this place truly deserves the nickname “Baseballtown”! !